A Lasting Power of Attorney (LPA) allows one or more people to help make decisions for, or make decisions on behalf of, someone who in no longer able to do so. This is usually set up in anticipation of an individual ‘lacking the mental capacity’ to make important decisions at some point in the future, whether through illness, accident, or other circumstances, and giving the responsibility of these decisions to someone they trust. There are two different types of LPA. A Health and Welfare Lasting Power of Attorney enables someone to make decisions about your health and wellbeing, for example, deciding on your daily care routine, your medical care, moving into a care home, or even life-sustaining treatment. 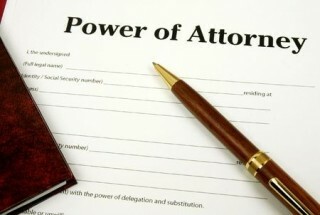 A Property and Financial Affairs Lasting Power of Attorney gives someone the responsibility of making decisions about money and property on your behalf, such as running your savings account, managing your tax affairs, collecting benefits, or even selling your home. A LPA is an extremely important legal document, and much thought and consideration should be undertaken before applying for one. However, regardless of your state of health, you should consider setting up the provisions for a LPA at any stage of your life, as they are only valid and only submissable if you create one when you have full mental capacity. Creating an LPA when you do not have full mental capacity can make it extremely difficult for someone to arrange to make decisions about your money and your property otherwise, and other complications can occur, such as the bank freezing your account. Setting up an LPA in advance fully prepares you for any eventuality that might result in a loss of mental capacity, such as a sudden accident or a stroke. As with most legal processes and procedures there can be a certain level of confusion and uncertainty when dealing with the jargon and what is expected of the individual applying, as well as the details and subtleties of a LPA. When does it come in to effect? How much does it cost? Can it be altered? Can it be cancelled? Where do you apply? Seeking legal advice for a document this substantial is advised. Not only will it save you time, but you can rest assured that everything is being carried out correctly, and that you are receiving relevant, expert advice. Not only that, but having legal help when setting up a LPA can be extremely helpful when difficulties arise, such as complicated assets, where there might be businesses or properties overseas to manage, or when family members do not get along and come to blows over decisions to be made. At Sam Hawking Property Lawyers, we are aware that discussing what might happen if your usual mental capacity diminished is uncomfortable, but we also know that setting up a LPA will bring you a much greater peace of mind knowing that you are well prepared for any eventuality. We have years of experience in setting up both types of LPAs, and are able to guide you through the entire process, so that you feel in control and informed the entire time.